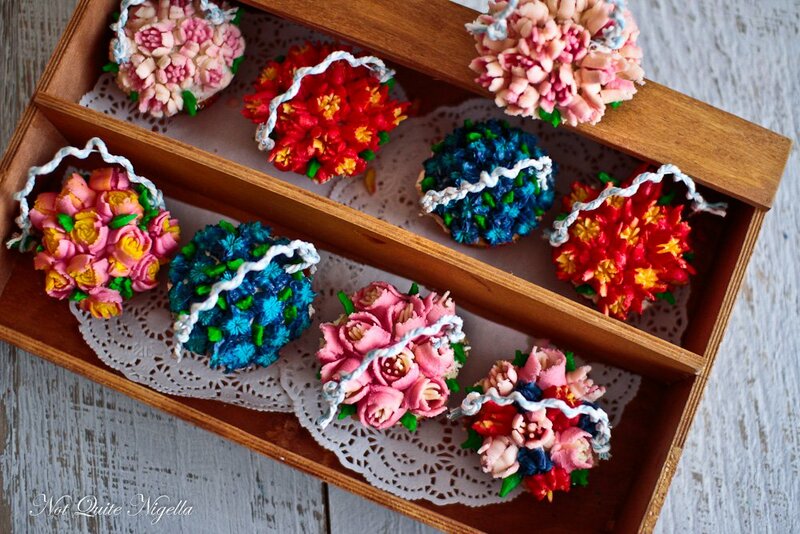 Russian piping tips are a beautiful way to accent your baked goods! From cupcakes to cakes you will amaze your friends with your new found talent, they do not have to know how you do it – just that you did! Although they may look complicated to use, they are really not that complicated and with just a little bit of practice you can begin to make beautifully decorated desserts that your friends and family will love. Well, first contrary to their name there is no proof that these decorating tools are in fact from Russia – so no one really knows how they got their name, but what we do know is they will help you make the most amazing floral and other decor accents for your food! Unlike traditional pastry tips, these tips feature truly intricate designs that help you create the most unique looks for your cupcakes and cakes. 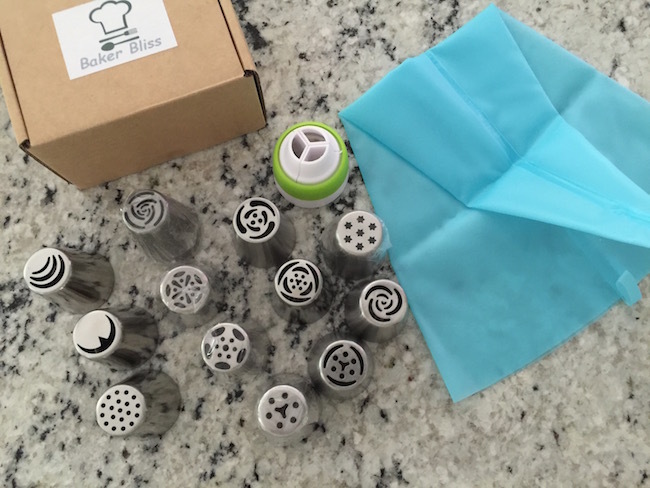 In an effort to understand more about how to use these tips and see what they were I purchased this set of Russian Piping Tips. I have used traditional pastry tips for years when I baked, but these were a new concept to me so I wanted to see what they were like. When they arrived, I couldn’t believe how big they were, they are definitely not the normal size of piping tips I was used to. I like that you can make a flower with one swipe and don’t have to create each petal separately. However, if you’ve never used Russian Piping Tips, don’t think you are taking these out of the box and using them right away. The first few times I tried I got nothing but a big blob of nothing. I did find a few Youtube videos to help me figure it all out, but even then, it took practice and the right consistency of the buttercream frosting in order for them to be perfect. 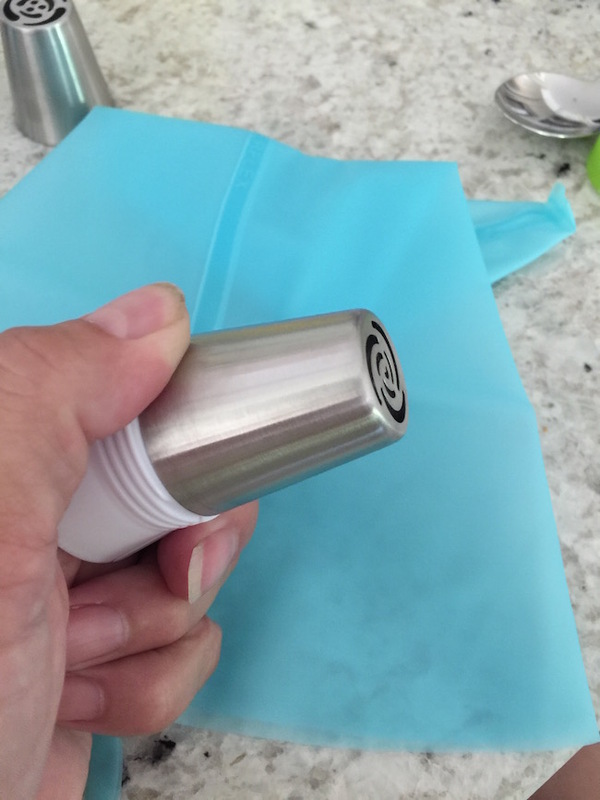 The brand of piping tips I purchased no longer seems to be available, but this one on Amazon looks like a great option that has great reviews and has some beautiful designs! 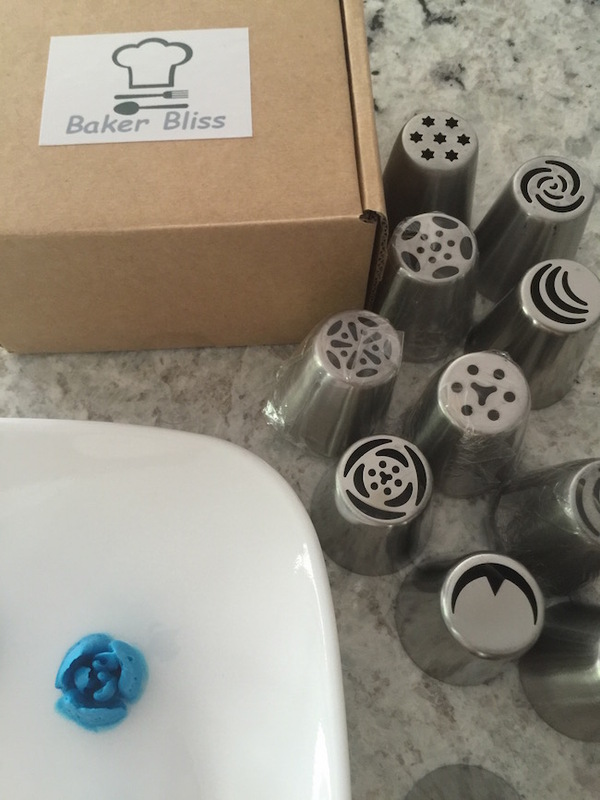 The set I received from Baker Bliss were high quality stainless steel, easy to handle and easy to wash.
Making gorgeous buttercream flowers have never been easier! Simply squeeze pastry bag to start the base of flower then pull tip up and release pastry bag pressure, a beautiful flower will be made! With Russian Piping Tips it has never been easier to create such stunning designs. Below is one I made that I was actually proud of – I cannot tell you how many I did before this though! Russian piping tips are the perfect way to create eye catching cake, cupcake and even cookie designs. One thing I learned the hard way about these tips is that the consistency of the frosting really matters. This is what I realized made the difference in my frosting going from a blob to something that kind of looks like a flower. I am continually practicing with these since there is no “perfect” consistency that works with all the tips. Using a creamy frosting consistency lends itself better to creating flowers that are more open in nature which a firmer frosting will reflect a more closed flower because there is less “room to give” so to speak. 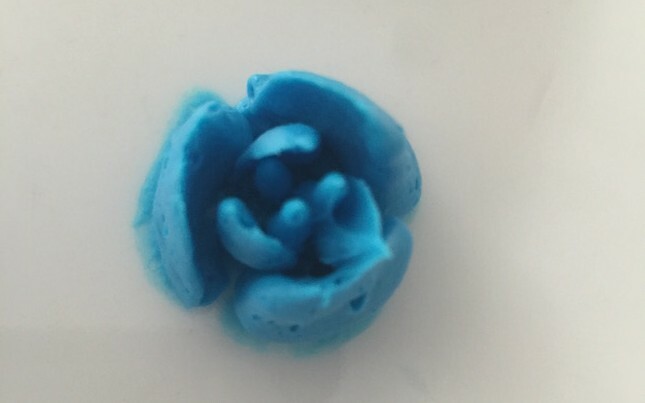 The buttercream for the blue flower I did above was a little bit more on the firmer side so you can see it is not as “open” as it would have been had I used a softer buttercream. Another important component is the height of the design you want to make. Some tips work better at making shorter designs while others are better at higher designs. In my blue flower above it was pretty short – I could not have squeezed any more from the tip to make it any taller. If I wanted a taller flower I would have used a different tip. Below is one of my favorite videos that helped me get my backs setup and gave me a great visual for how to use the tips. Of course my try did not come out at all as beautiful as hers did in the video, but I am not giving up! I also found this adorable idea for a “basket of flowers” cupcake display that I love! One of my life goals is to in fact make something this darn pretty at some point that I will be proud to bring somewhere. A small wooden box filled with beautifully piped floral cupcakes just make me smile. And I am pretty sure these cupcakes are going to taste as amazing as the look! You can see the Flower Basket recipe here.